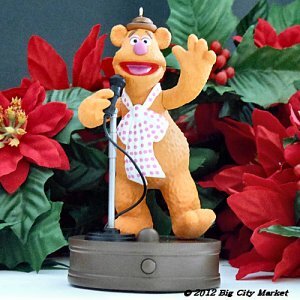 Hallmark The Muppets Fozzie Bear  - $11.00 : Big City Market, Big City Market Delivers it All! There is only one Fozzie Bear, and he loves to do Standup. Doing his own brand of comedy for over 30 years, Fozzie still has yet to perfect telling a joke, but he has gotten better at watching out for flying tomatoes! 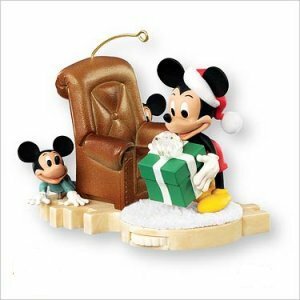 Just press the button, and see the ornament light up as Fozzie does his routine. Batteries are included. 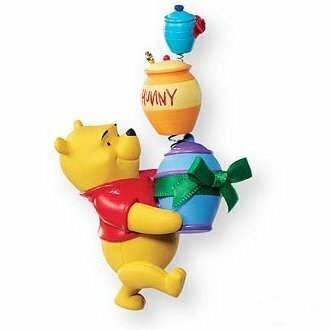 Ornament stands approximately 4-1/2 inches tall.